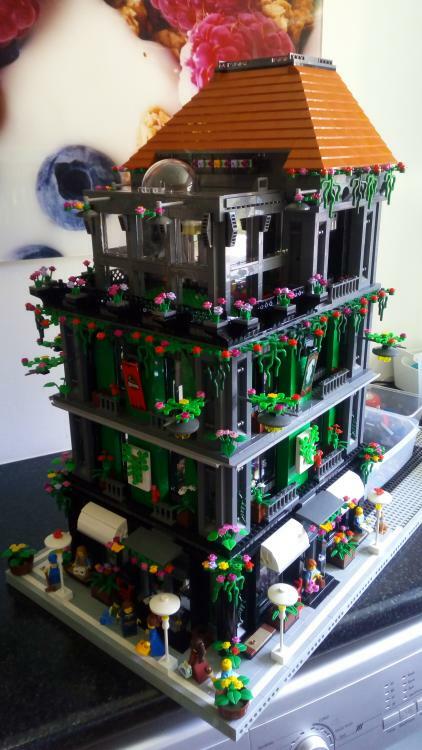 Hi,im finish build flower shop with green house on top. House have full functional lights inside in ground and top level. Im trying use how much i can flowers etc. Building is close like moc mudular building with figures and all equipment and furniture inside. Like any of my building is large size. Hope one day i will have lots of kind of bricks be i can build like some of persons on this website. Beutiful job all of you guys,im happy be a part.